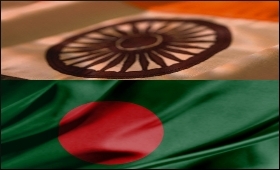 India and Bangladesh have made remarkable strides in their bilateral relations, which are now near to 1971 levels, but there is much that the two countries can do to unlock the full potential of their trade relations, said the country's envoy in New Delhi on Monday. "We have made remarkable strides in our bilateral relations... It has never been as good... and is almost at the level of 1971 stage," said Tariq Ahmad Karim, the Bangladesh envoy addressing the CII session in New Delhi on 'Strengthening Bangladesh-India Trade'. He said it was essential to unlock the potential of the South Asian region "to create an interlocking grid of symbiotic dependencies". Karim said India's landlocked North-East region can hold the key not only to India's accelerated growth but also of that of the entire North-East region, including Bangladesh. Bangladesh has much more to offer the world than Jamdani saris and hilsa fish, said Karim, adding that his country was making refrigerators and bicycles and other commodities which it wanted to export. He stressed that bilateral trade routes should not be restricted to either one or two ports or border entry points. Increasing connectivity, encouraging trade, removing trade barriers and increasing Border Haats, he said, would help unlock the potential. He also stressed on the need for a relook at the 'Gujaral doctrine' and for concrete measures that would strengthen relations and expand trade. Mentioning the EU, he said when the bloc was coming up, the "biggest steps came from the biggest powers and they stepped back and gave support... After 40 years, EU has won the Nobel as an entity". He recommended that the testing of goods at the borders should be random and quick, the number of Border Haats should be increased, port restrictions should be reduced, and ease of visas should be there to facilitate cross-border travel. Pankaj Tandon, vice president-Transmission SAARC & Myanmar, KEC International Ltd, spoke of the need to strengthen economic ties. He said: "We need to look at issues such as repatriation of profits, long-term multiple business visas among others. He stressed there was tremendous potential in sectors such as textiles, garments and that CII's various Centres of Excellence could provide training and skill development to Bangladesh." Sanjay Kathuria, lead Economist, Regional Integration, World Bank, spoke of the potential that could be unlocked and shared findings of the study titled 'Unlocking Bangladesh-India Trade - Emerging Potential and the Way Forward' which explored the benefits that would accrue from enhanced market access for Bangladesh in India, and improved physical connectivity between the two countries. The study was released at the event. It always bothered me. The poor and often violent relations India, Pakistan and Bangladesh had with each other. This news is good and a sign of maturity for the region. Being a Hindustan living in South America since my ancestors came here 100 years ago from what now is Bihar. It gives a sense of unity. Also, Bangladesh & India should focus more on education and R&D. There Human potential far exceeds the sum of labor and natural resources assets.